One Community Health is proud to offer comprehensive obstetrics services, rooted in compassionate, high-quality care. Having a baby or interested in getting pregnant? We invite you to experience why our unique integrated-approach to obstetrics can make a positive difference for you and your child. Learn more about obstetric care. The wellness of your child matters—both to you and to us. Providing a host of services through our expert pediatric care, One Community Health believes in making children feel safe, comfortable and supported. From the moment your baby takes that first breath, we're here to share a pathway that promotes preventive and proactive health care from providers you can trust. Learn more about pediatric care. Your care team is trained to not only focus on your physical health but also your mental, emotional and social well-being. Learn more about behavioral health. Our Salud program (available in Hood River and The Dalles) provides education and support to patients living with chronic illnesses such as diabetes, hypertension and obesity. 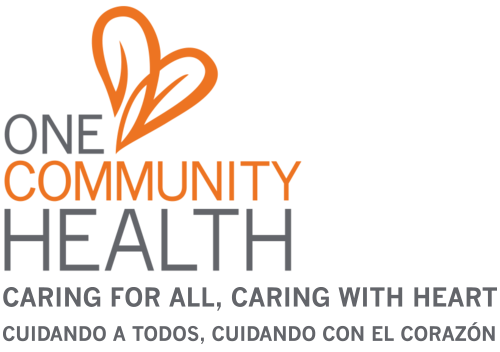 Salud community health workers are part of the medical care team, making sure patients receive the specialized education needed to manage chronic illness. As Hood River County's population has continued to grow, so, too has the need for providing affordable, high-quality health care to the children and teenagers who call this beautiful valley their home. Responding to this demand—and thanks to key partners who made it possible—One Community Health opened its first School-Based Health Center (SBHC) in 2015.